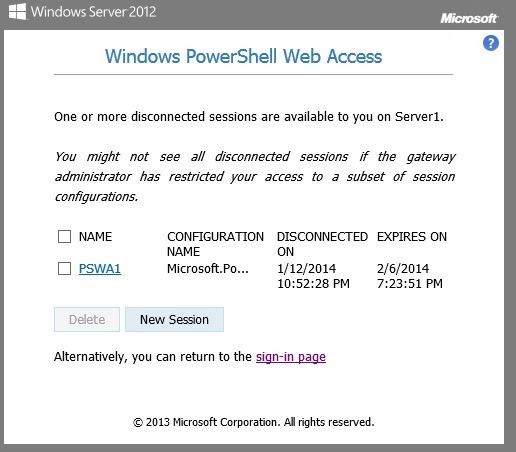 Windows PowerShell Web Access, first introduced in Windows Server® 2012, acts as a Windows PowerShell gateway, providing a web-based Windows PowerShell console that is targeted at a remote computer. 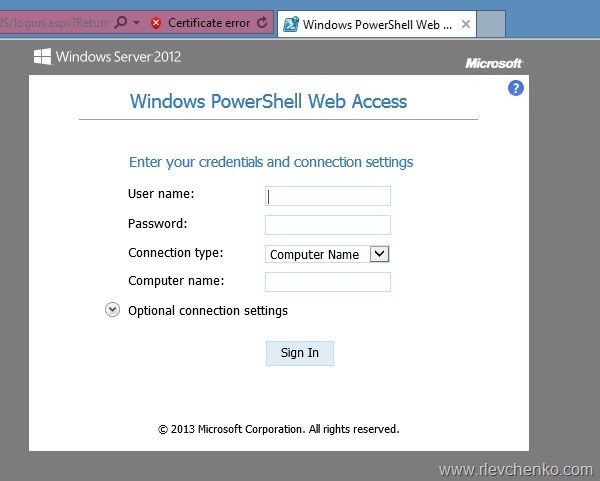 To configure this feature we need to install WindowsPowershellWebAccess component and create PSWA application with security rule for it. There are no many options in PWA. The most interesting is ability to SAVE your session. 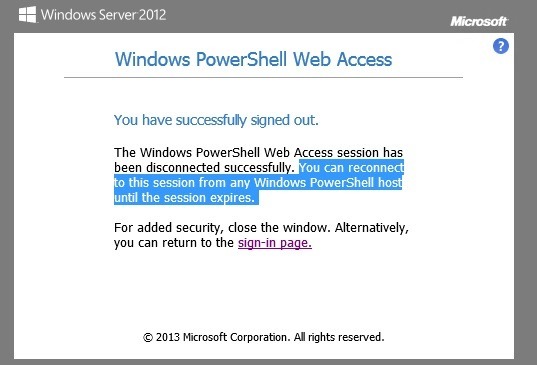 Sign in again to PWA and notice that PWA saved our session as PSWA1 . TIP: TAB works in PWA too. Use it as usual. 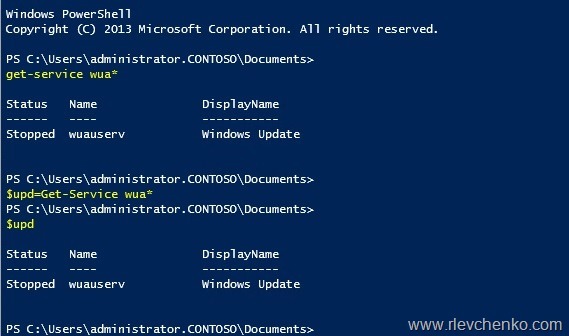 Everyone knows (I hope so) about Configuration Analyzer for System Center SP1.Previously, we had to download and use separate BPA analyzer for each SC component.But now, it’s the single model for testing System Center configuration. 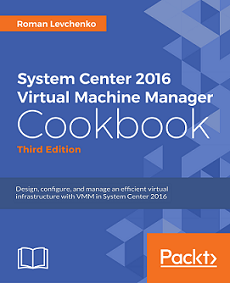 According with technet, main requirements are: Microsoft Baseline Configuration Analyzer 2.0 and operation system required for SC SP1. In my opinion, requirements are not accurate. Cmdlet Invoke-MbcaModel reported warning …. cannot be loaded because running scripts is disabled on this system.